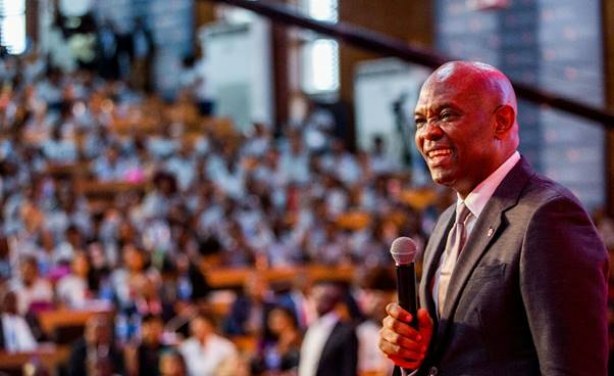 President Koroma of Sierra Leone, President Obasanjo of Nigeria and 1,000 entrepreneurs were among the audience at the largest annual gathering for the 2nd TEF Entrepreneurship Forum, which took place in Lagos, Nigeria, and was convened by the Tony Elumelu Foundation (TEF). 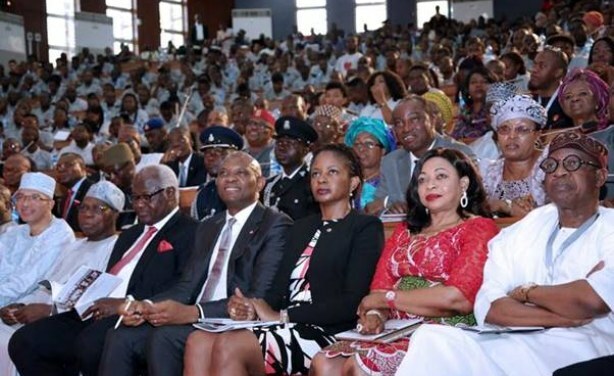 The event hosted almost 1,000 women and men from 54 African countries, and the foundation announced new partnerships with the African Development Bank, ECOWAS, Coca-Cola, Nigerian Ministry of Information. Read more. More about UBA in this BRIEFING. 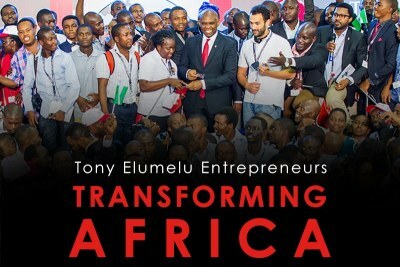 Mr. Tony Elumelu CON, Founder Tony Elumelu Foundation, addresses 1000 African entrepreneurs at the 2nd edition of the annual Tony Elumelu Foundation Entrepreneurship Forum, which recently held in Lagos. Nigeria: Elumelu: "We Give To Empower And Break The Cycle Of Dependency As Entrepreneurship is the Only Path to Independence And Sustainability"
(L-R): Former Prime Minister of Benin Republic Lionel Zinsou; President Olusegun Obasanjo, Former President of Nigeria; His Excellency Ernest Bai Koroma, President of Sierra Leone; Mr. Tony Elumelu CON, Founder of Tony Elumelu Foundation; Mrs. Awele Elumelu, CEO Avon Medical; Mrs. Folorunsho Alakija, Vice Chair of Famfa Oil; and Alhaji Lai Mohammed, Honourable Minister of Information, Tourism and Culture.